Track network computer assets with 10-Strike Network Inventory Explorer! The software is designed for Microsoft Windows network administrators and IT managers. It allows them to maintain the asset database of hardware and software installed on network computers. 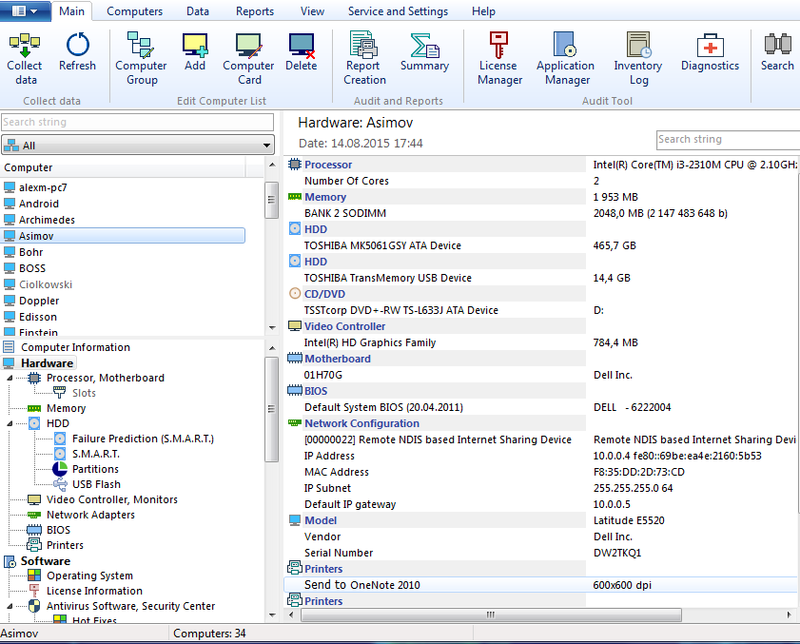 The program is installed on administrator's computer only and uses WMI technology for scanning the hardware and software installed on remote computers. It does not require any additional components on network computers. The program supports other methods of gathering data if WMI cannot be used for some reason. You can even import the information on hardware from offline computers into one general inventory database. With Network Inventory Explorer, you will have up-to-date hardware information to be able to plan upgrades more accurately. For example, the user can generate reports on machines with insufficient RAM or disk space and use this information to plan upgrades. 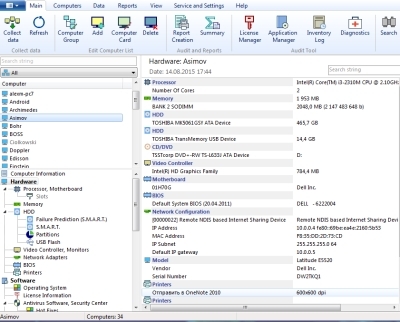 The program tracks hardware and software on remote network computers, audits its changes, and writes the information on the modified asset data to the inventory log. Inventory computer hardware and software. Discover newly installed hardware and software on network computers. Control changes made to hardware and software. Create and print various asset reports. Plan upgrades and IT budget. Take help desk calls from users. Export asset data to Excel, Access, or other database. Audit USB flash drives usage.